As you know, Templeton Rye was the official whiskey of Baconfest Chicago 2012! Our friend Michael Killmer, TR’s brand manager, was manning the booth on Saturday, shaking up the Rusty Doorhinge, a cocktail formulated for the express purpose of pairing with our chefs’ bacon offerings. Killmer told us that he’d received a lot of requests for the Rusty Doorhinge recipe, so here you are! Build all ingredients in a shaker tin, add ice and shake hard for 8-10 seconds. Strain in a cocktail glass filled with fresh ice. Garnish with orange twist express orange oil. For added effect when serving you can add the sweet vermouth last as a floater and not include in the build pre-shake. 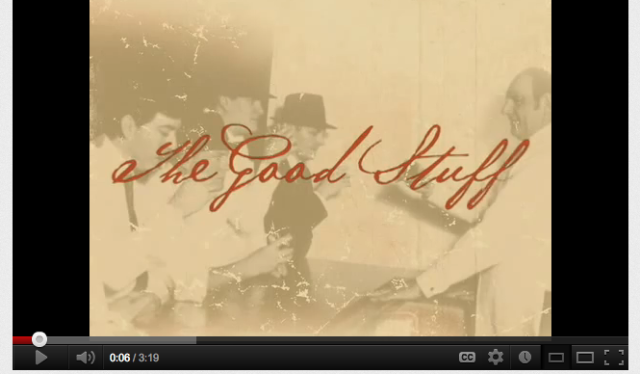 Check out the Templeton video, which lays down a little TR history! When prohibition outlawed the manufacture and sale of alcoholic beverages in 1920, many enterprising residents of tiny Templeton, Iowa, population 350, came together to create an American classic known as Templeton Rye Whiskey, or “The Good Stuff” to those in the know. 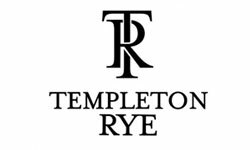 Over the course of its storied history, Templeton Rye became Al Capone’s whiskey of choice, quickly finding its way to the center of his bootlegging empire. Speakeasies in Chicago, New York and as far west as San Francisco poured Templeton Rye as the “Best Whiskey in the House”. Later legends suggest that a few bottles even found their way inside the walls of Alcatraz to the cell of prisoner AZ-85. Available legally for the first time, the infamous small batch rye whiskey returns. Aged in charred new oak barrels and produced from the original Prohibition Era recipe, Templeton Rye provides a smooth finish and a clean getaway. Templeton sponsored Baconfest Chicago Satellite Dinners at both CHALKBOARD RESTAURANT, THE SOUTHERN and HEARTY RESTAURANT.